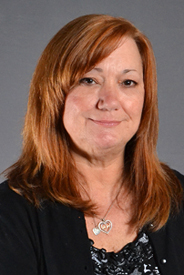 Teri joined The Austin Allen Company in 2005. Teri’s high energy and positive attitude has caused her to excel in recruiting and placing candidates who have the same level of energy and attitude as she has. This ability has won Teri awards for achievement and dedication, the admiration of fellow recruiters nationwide. Teri has successfully completed searches for Accountants, Engineers, Human Resources, Manufacturing Management, Materials, Purchasing, Supply Chain, Quality Control, Six Sigma with a wide range of companies that include Appliance, Automotive, Distribution, Chemical, Durable Consumer Products, Electronics and Food. Outside the office Teri is married and has 2 children. She loves sports and spends a lot of time with her sons at ball games. SW – Human Resources – Sony Electronics Inc.
“Teri, My wife said you had called the other day so thought I’d drop you a line. Things with J.R. Simplot are going great. I love the job and the area. The job will be very challenging. but I am the right man for the job. I can not thank you enough for all your hard work and dedication to get me in this position. I know at times it was very demanding and time consuming but the whole thing would never had happen without you. It has totally changed our life’s for the better and we only see great things ahead. Teri, at the time we were going through this whole thing we were really down on our luck. I had lost my job, money was tight and we were going to lose our house, times ahead were looking pretty bad. But because of all your hard work we now see a light at the end of the tunnel. To sum it up, without your help we would have been homeless and broke. Although we’ve never met, over the years we worked together indirectly when I was hiring manager for several engineering positions at our site. I’ve reviewed my fair share of resumes from Austin~Allen and remember you introduced us to great engineers and always met our placement needs. Sandi Walding and Mikki Pilgrim were your direct HR contacts and they considered you the best search and placement professional in the region. “This is the first time that I have ever written anyone regarding anything. I just wanted you to know that I have never been so impressed with a recruiter, as I have with Teri! She has been very professional, personable and concerned about helping me with my job search. Keeping me updated with potential companies and positions that I would be a good fit for has been her ongoing search. She has always been pleasant, encouraging and patient with me; understanding that it is difficult to wait for the right position to become available that meet both the company and my expectations. I am also happy with her willingness to work with other recruiters to help find possible openings. Hi – I hope you are doing well. I just wanted to touch base and thank you again for everything you did to help me this job. I think it has worked out very well. It is nice to be on this side of the process now. Thanks for all of the candidates you are finding for us on this search. I know it is a difficult position to fill.